President Akufo-Addo's government has been criticised for doing little to expand access to electricity despite having the resources to do more. Former Deputy Power Minister John Jinapor has said access has, in two years, increased by only 1% under the Akufo-Addo government. 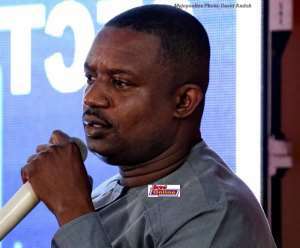 The former Mahama government did 8% every two years, he contrasted at an economic lecture billed as a response to the government’s Town Hall Meeting organised Wednesday. John Jinapor, who spoke about the energy sector, pointed out the former government’s strategy for a long-term solution to Ghana’s energy troubles was to increase power generation capacity, resolve financial challenges that plagued the sector and also address the reliability of fuel supply. These three when solved would create the platform to improve access to electricity. Addressing Ghana’s generation capacity, he said, the NDC government brought in 250MW AMERI power plant, 50MW Trojan power plant, 200MW Kpone Thermal Power Project, 360MW Asogli project, 20MW BXC solar project and Karpower plant. The former appointee who is the NDC MP for Yapei Kusawgu in the Northern region said some of these plants relied not only on different types of oil but could also run on gas. The effect is that generation capacity was increased from 1,985MW in 2007 to 4,132MW in 2017 to respond to a demand that hovered around 2,500. To deal with fuel, he said the Mahama government invested in Atuabo gas processing plant and three FPSO Kwame Nkrumah, John Agyekum Kufuor and John Atta Mills. “We have guaranteed gas supply to our power plants…we are saving so much money,” he read out the benefits of have a reliable gas supply infrastructure. He said the importance of having gas can be seen in the massive reduction of importation of 456.9 kilotonnes of Light Crude Oil in 2016 to 178 kilotonnes in 2017. “This represents a 61% reduction in importation of LCO,” he said and this has saved the country $300m per annum. John Jinapor said debts dating back as far as 1992 which has been strangling the energy sector was dealt with through the introduction of the Energy Sector Levy. In 2016, this levy brought in 3.5bn cedis and 3.2bn in 2017 meant to clear huge debts reported to be around $2.4bn. The Mahama government, he said, used 1.41bn cedis of the energy sector levy to reduce the energy sector debts. By addressing these three challenges, government under John Mahama was able to extend access to electricity from 54% by 2008 to 83.24% in 2018. “I means that on the average, we were increasing electricity every year by 4%”, he said explaining, these facts are contained in Akufo-Addo government’s budget statements. John Jinapor challenged the Akufo-Addo government to show projects it has been able to roll out despite having received as much as 2.7bn cedis in petroleum revenue as compared to 900m cedis the Mahama government got from petroleum in 2016.